Hosting parties can e fun but after party washing and cleaning can leave us tiring. The hard work that follows later on takes away the all the enjoyment of the party. When people carelessly enjoy the food they accidentally drop the curries, pasta sauce, ketchups and much other stuff on your gorgeous tablecloths that leaves you fuming. But being a great host requires a lot of patience and being a civilized one forces us to smile. Some stains are easy to wash off while others are stubborn ones. They can leave a mark or can fade the color at some point. Each and every stain is different from other and requires different kind of treatment. Apple Juice: The stains appear on the fabric because of TANNIN, a plant component that shows as a color in the fruit. 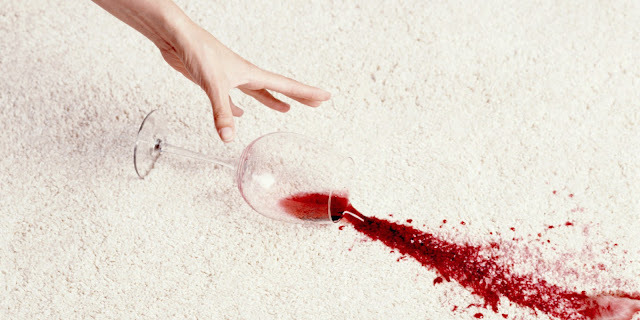 Blot the juice spill immediately with the help of paper towel or a clean white cloth and later can washed with the help of a detergent. Meat: Red meat is one of the most versatile food products and can produce just as many stains on clothes. If the meat is raw then wash it under cold water and then launder it in the usual way. Cooked meat usually produces an oily stain. This kind of stain requires pre-treatment with solvent and then should be washed in hottest water that is appropriate for the cloth. BBQ Sauce: These kinds of stains are arguably a little tough to remove to begin by treating the oily component with pre-treated solvent or any stain remover. With heavy duty detergent, rub the stain. Scrub stain lightly with hot water and then rinse. Then wash in the hottest water suitable for the fabric. If these instructions will be followed, these stains won`t survive for long. These hacks are tested and successful methods to keep your cloths shining. A woman`s handbag is her world. We all love our handbags and can do anything to get our hands on our favorite bags. We go from store to store, to get that one gorgeous looking handbag that can stun all the other ladies who exist on planet earth. When we find our dream bag we show them off amidst our friends, take it to various parties, dates, dinners and then eventually we get bored. Then we keep them in our closet in a safe place and hope to use them later on. But what we all forget in this vicious cycle is that we generally lack the information that can help us to preserve their beauty for a longer time. For us, they fall into the category of that stuff that are made immortal and does not require any attention. But this is definitely a myth my friends, as they tend to lose their originality with the speed of light if not taken proper care. Here are 5 life-saving tricks that will help you to make you bag stay longer with you to give you good company. Stuffing – It is a must-to-do thing that can keep your bag`s original shape and form intact. Larger purses require a bit of maintenance compared to their smaller counterparts. So it is better to roll newspapers and stuff them inside to fill it. If you are a nature lover and cannot sacrifice papers, you can also stuff your worn out sweater inside them and your bag will never lose its shape. Dust Bags- Keep your dust bags, always. They come free when you purchase a new one and they are not meant to throw away. 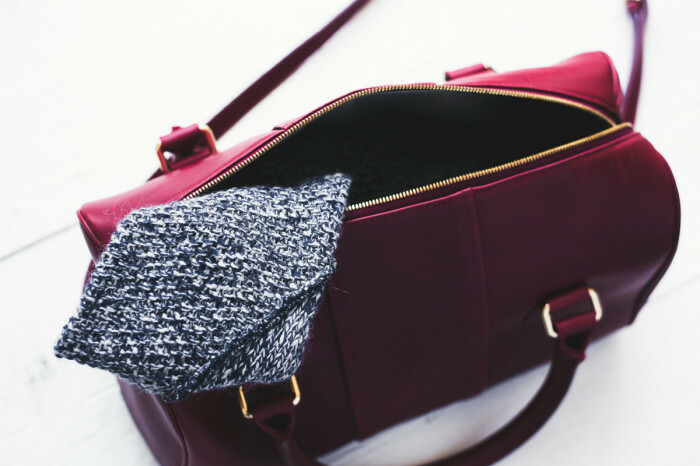 Whenever you feel like storing your bag always put them inside a dust bag to prevent dust and dirt settling down. Use a clutch- If you like to carry your make-up with you, and then use a clutch or small pouch to keep your belongings. It will save the interiors of your bag from getting smeared with moisturizer, foundation and what not? If you pay attention to these factors, your bag will love you as much as you love it and that too for many years. If you want to update your old and outdated dining table cover then you can adopt some of the unique and creative ways to give them an amazing makeover. You do not need to live with an outdated dining table as there are many options for updating and making over your table! 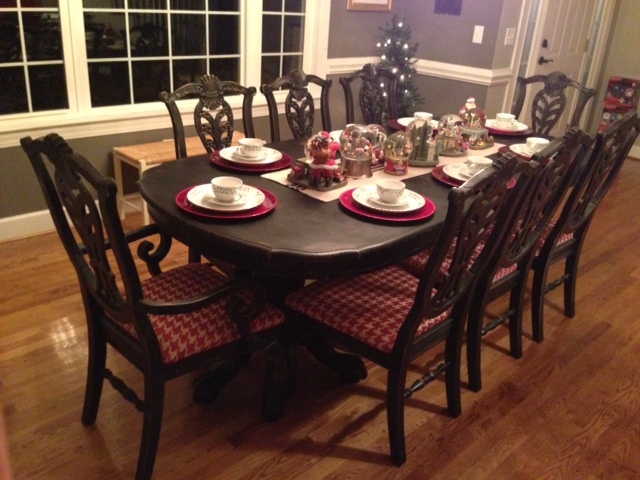 If you want you can use the beautiful round dining table cover. Idea 1: Just pain the table top and the base in different colors but they should complement each other. This will give your home a very distinct look. Idea 2: Paint the apron and base with a solid color and then re-stain the top in a rich stain color. This would give a very unique look to your house. Idea 3: If you want you can add a stenciled design to the table top it will glorify your old looking table. Idea 4: Paint the base, stain the top, and then lightly whitewash the top for a beautifully aged look. It will definitely look appealing. They will give you a modern appeal. Idea 5: Just paint the tabletop and give them a zinc-covered look which gives them a more smoothing and the shiny surface. You will love to see them such will be their amazing appeal. Idea 6: You can actually cover the tabletop with the stainless steel, copper or nay other sheet metal this will give them a metallic look. And therefore, you will enjoy looking at their new and extraordinary appearance. Idea 7: You can add some color to your room by painting the table one solid exciting color which give a very lovely and adorable look to the living room.